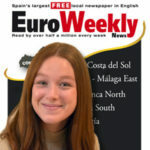 THE Euro Weekly News has exclusively spoken to one of the stars of ‘Bargain Loving Brits in the Sun,’ episode three. The popular reality television series, which charts the lives of Britons carving out new lives in sunny Spain on a tight budget, airs Thursday night on Channel 5 at 8pm UK time. This episode, viewers will return to the Animals in Distress charity, run by former Harrods florist Jan and her husband Jose. First featured in episode one, the pair have been running a dog rescue for over 15 years in the Costa Del Sol, and currently have 60 dogs in their care. This week, they look after a badly abused dog after a botched operation left him with a dodgy back leg. Can they save Lacko and find him a new home? In this episode, viewers will also meet 51-year-old Bambi Dharmi from Wolverhampton. The former dancer Bambi has swapped the sequins and satin for a clipboard and some comfy shoes, as she starts her new life selling static caravans on the unique Saydo Park in the Andalusian mountains, but can she sell her dream life to other Britons? Also in episode three, viewers head out on the high seas with Kevin Nelmes of Pirate Parasailing. After a bad start to the summer Kev needs the first day of the UK summer holidays to be a big one. Will he be able to kick-start his business and hit his daily target? Finally, audiences are introduced to father and son duo Lawrence and Lewis from south London. Former Market Trader Lawrence decided out of the blue to buy a bar, but with no experience around the optics, will his bartending son Lewis be able to get the business going?